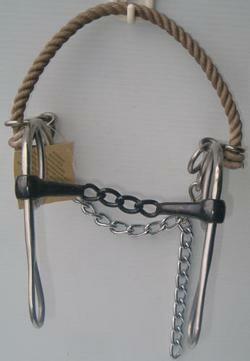 Description: Long Shank rope nose combination hackamore. Bit has approx 7.5" cheeks and 5" mouth. NO COLOR CHOICE ON CASE LOTS!